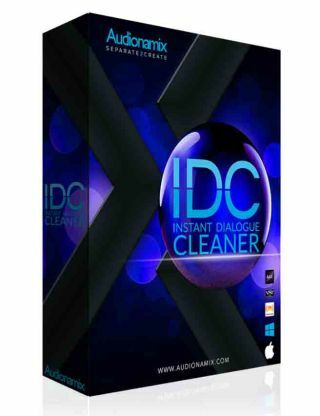 The What: Audionamix has introduced its latest plug-in, IDC: Instant Dialogue Cleaner, at this year's Sweetwater GearFest on June 22-23 in Fort Wayne, Indiana. The What Else: The IDC plug-in is versatile and easy to use due to its integrated DNN artificial intelligence that automatically detects and separates speech, no matter the surrounding content. With the turn of a knob, users can clean up dialogue from interviews, dailies from movies and TV, during the post-dialogue editing process, re-recording mixing, news and sports recording, radio broadcast, and more. The Bottom Line: The IDC plug-in is a real-time, cloudless solution, and will offer unique and effective dialogue cleaning technology through an intuitive interface, compatible with many workflows. The software will be available for pre-launch sale starting on July 2 and will officially be released on July 17. Audionamix will be in the R. Joseph Group Tent 7 at GearFest.